PT PAL INDONESIA (PERSERO), was established by the Netherlands’s government in 1939 under its original name of MARINE ESTABLISHMENT (ME). The Company was renamed Kaigun SE 2124 while under the colonial governance of Japan. After Independence Day, the Indonesian Government nationalized the colonial Company and renamed it Penataran Angkatan Laut (PAL). On April 15, 1980, the status of the Company was changed from a Public Company (Perusahaan Umum) to a Limited Company (Perseroan Terbatas) in accordance with notary deed No.12 of Hadi Moentoro, SH. 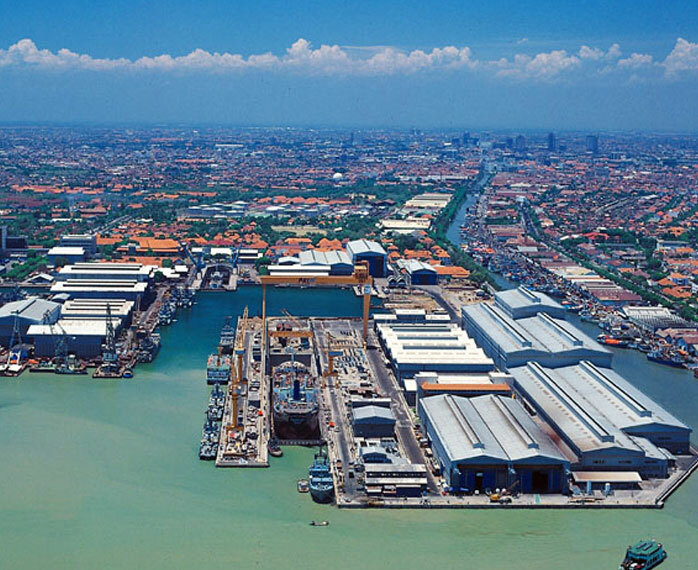 The factory is located at Ujung, Surabaya and the main activities of the Company are the manufacturing of naval and merchant ship, docking repairs and maintenance, and general engineering based on job orders. The distinguished re-engineering ability of PT PAL INDONESIA (Persero) has entered the world market and the quality is renowned worldwide. 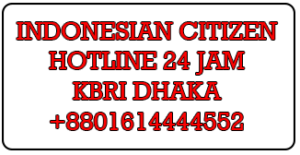 Ships produced in PT PAL INDONESIA (Persero) are now sailing the seas all over the world. The development of merchant ships is geared towards the international market, and development of models for national shipping industry and pioneering shipping for passengers and cargo. The production capacity now reaches an annual product rate of 3 units of 50,000 DWT and 2 units of 20,000 DWT ships. We have mastered the production technology for vessels such as Bulk Carrier Ships of up to 50,000 DWT, Container Vessels of up to 1,600 TEUS, Tankers of up to 30,000 DWT, Passenger Vessels of up to 500 PAX. Furthermore we have also delivered Container Ships of up to 2,600 TEUS, Chemical Tankers up to 30,000 DWT, and LPG Carriers up to 5,500 DWT. PAL INDONESIA is currently developing products to fulfill local markets, especially to cater for the needs of various government institutions such as the National Defence Department, the National Police Force, the Marine Department, Finance Department/ Customs and Excise Directorate General and various Regional Autonomy authorities and private enterprises. The repair and maintenance division provides services for ships and other construction. The services include repairs and maintenance for ships in the depo level with the docking capacity of 600,000 DWT annually. Other services include annual and special survey for merchant ships and naval vessels maintenance and repair for electronics/armaments as well as submarine overhaul. The market demand for such services come from the Navy, private enterprises, government authorities, as well as ships anchoring in the port, with the total number reaching 6,800 ships annually. PAL INDONESIA has mastered the technology to produce support components for the power generation industry, such as Boiler and Balance of Point. Our capacity will always be improved to reach the level of modular and EPC for the small-to-medium level power generation industry with a capacity of up to 50 mega watt. 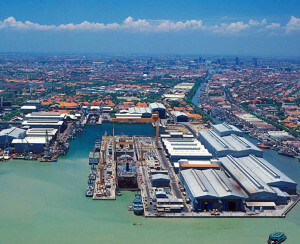 PAL INDONESIA has the ability to produce General Engineering products such as Steam Turbine Assembly up to 600 MW, Component Balance of Plant and Boiler of up to 600 MW, compressor module 40 MW, barge mounted power plant 30 MW, pressure vessels, heat exchangers, and generator stator frame of up to 600 MW. On the other hand the General Engineering products being under development are Steam Turbine Power Plant, Jacket’s Structure of up to 1000 tons and the Monopod and Platforms of up to 1000 tons. History bears witness that Indonesians are indeed capable seamen. Nevertheless, to compete in a global arena, PT PAL INDONESIA (Persero) is fully aware that while tradition and lineage can be an inspiration, education and training are absolutely the keys to produce reliable and highly skilled labour. As the backbone of the company, the Human Resources receives special attention, with a lot of activities conducted to support the improvement of PT PAL INDONESIA (Persero) staff. For the past 5 years, PT PAL INDONESIA (Persero) has been successful in implementing a system that improves the competencies, skills and management for Human Resources and an apprenticeship. These measures show the determination of PT PAL INDONESIA (Persero) to improve the core competence of the staff. PT PAL INDONESIA (Persero) is acutely aware of its position as a major company among the pluralistic Indonesian society and its duty to conserve the environment. This awareness was translated into activities such as charity drive and natural conservation campaign. PT PAL INDONESIA (Persero) implements the ISO 14001 environmental management system and provides assistance to natural disaster victims, scholarships and educational facilities, religious facilities (mosques and churches), construction of public facilities, as well as contributions to help improve the health and sports achievement of the local community. PT PAL INDONESIA (Persero) partnership programme comprises the provision of soft loans for working capital and investment to small scale entrepreneurs in the East Java region and training programme for small business and cooperatives. The current number of small businesses and cooperatives nurtured by PT PAL INDONESIA (Persero) reached 880 units.